(birth to 12 months) is the first step in the library door! 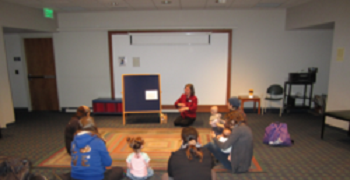 We gather for a short (15 minute) program of songs, rhymes, stories and fun, then get out the toys and music for a social time for babies and parents or caregivers. A great way to meet other parents and start a lifelong library and reading habit for the babies!